Ancient Africa had a predominantly, but not exclusively, oral tradition. But Ethiopia for over a 1000 of years has used, and still uses a Ge’ez based native script. And apart from Ajami (Arabic script for African languages), West Africa had Vai and Nsibidi. Not to mention the obvious Nile-Valley (Ancient Egyptian and Nubian) scripts at the beginning of civilization. A script is not only a technology for writing the spoken word, It is also a cultural symbol of a people and their identity. The mere sign of Arabic script carries the power of Islam and the Arab/Muslim people. Every time we see Amharic written we see the might of Ethiopian culture. A script is powerful political symbol used all over the world to show national identity. It is not accidental, or novelty that Hebrew was reinstated, from obsoleteness, when Israel was created in 1948. Tifinaɣ (a Berber script) used by some Berber peoples, notably the Tuareg, to write their languages. A modern derivate of the traditional script, known as Neo-Tifinagh, was introduced in the 20th century. Despite limited usage it often serves to assert a Berber identity politically and symbolically, as distinct from an Arabized identity. Cultures which actively use their scripts have historical strength and identity. A script is a relatively modern technology for communication , it is a visible mark on a flat surface which carries information. But not all scripts are equal at representing full speech (syntax, lexicon, etc). Despite the modern diversity of scripts there are only 4 progenitors (independent development) for every script written today: Egypt (3500 B.C.E. ), Ancient Iraq/Iran (3500 B.C.E. ), China, and Mesoamerica. Every other script is a blueprint of these 4 scripts, or indirectly inspired by them (diffusion) (e.g. Cherokee). Europe has never produced any native script, every script is derivatives—even Ancient Greek. The history of the alphabet started in ancient Egypt. By the 27th century BC Egyptian writing had a set of some 24 hieroglyphs which are called uniliterals. The numerology (0,1,2,3,4,5) of modern Western scripts all comes from Arabic numerals. We often believe much of civilization was a European creation, but Europe, like most of the world, borrowed from the rare genius of four script inventors, just like it borrowed domestication, and religion. The most basic form of first scripts were pictographic. Although a few pictographic or ideographic scripts exist today, there is no single way to read them, because there is no one-to-one correspondence between symbol and language. Hieroglyphic were commonly thought to be ideographic before they were translated, and to this day Chinese is often erroneously said to be ideographic. In some cases of ideographic scripts, only the author of a text can read it with any certainty, and it may be said that they are interpreted rather than read. True scripts represent the full body of possible speech, they can completely document the range of ideas spoken. Every thought or idea, that can be spoken can be written in Amharic, Arabic, English, etc. It also allows for new words to be written because of the phonetic representation. Reading and writing, are not innate for humans, and it is possible for humans to prefer (when given a chance) alternatives to scripts. This is why television,☺emotions(pictographic), are so popular. And with the rise of social media, abbreviations such as LMAO, prove that script evolution could reverse itself. Also if we look at words for a long time they become meaningless, because in reality they are arbitrary, unlike pictograms. Subsequently most of what we read is not actually reading of the phonemes, but recognized of the text from previous encounters (we recognize more than we read). This is why unfamiliar words, even if simple, cause us to pause and re-read. (Shahadah – very easy Sha Ha Dah, yet if new and unfamiliar it causes most literate people to slow down or even completely misread). In the history of writing symbols proceeded from ideographic (such as an icon of a bull’s head in a list inventory, denoting that the following numeral refers to head of cattle) to logographic (an icon of a bull denoting the Semitic word ʾālep “ox”), to phonetic (the bull’s head used as a symbol in rebus writing, indicating the glottal stop at the beginning of the word for “ox”, namely, the letter aleph). An orthography is a standardized system for using a particular writing script to write a particular language. It includes rules of spelling, and may also concern other elements of the written language such as punctuation and capitalization. 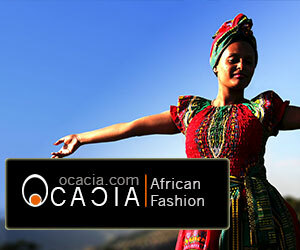 In the case of Africa special adoptions are needed to accurately represent every specific African language. In South Africa the Xhosa languages needs, because it has none of its own, Latin symbolic representation for the language clicks (!X etc). This is true for Hausa written in Arabic and Latin based scripts. Because Arabic historically has no “P” the پ is created for languages which have that sound, such as Urdu. A language such as Amharic which is genetically from Ge’ez does not require these modifications as its is written in its unique script. 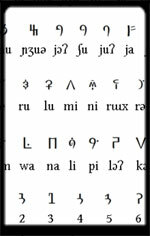 It is believed that the changing of letters to suit the language was part of the process of indigenization that created unique scripts throughout the world. * Humans have been on Earth for 100,000 years bu only in the last 6000 years has writing been invented, and only in the 20th century has this spread to majority of the Earth. Yet music has been around for over 42,000 years. Oral tradition accounted for most of Africa, and the world. The high rates of literacy we see today are a unique product of our modern world and the byproduct of European, Arab and Chinese conquest. Historically, even in literate societies, such as Western Europe, literacy was confided to the elites. Oral traditions have traditionally been considered unsophisticated and totally ridiculed. And while they have some critical developmental potential issues, oral tradition promotes a greater dependency on the usage of memory, story telling and other socially binding traditions. But literate people have far greater neuro-connection between the two half of their brain] and have displayed numerous advantages over non-literate people. Unfortunately oral tradition, beyond this, cannot compete. And in most global encounters it is the societies with scripts than conquer the societies without. Very few large nations have risen without having to rely on scripts. Writing is therefore a proximate factor in explaining radical disparity between various societies. Writing allows bureaucracies, which allows complex centralized political administrations, economic exchange, advanced scholarship, accurate history keeping, quick transmission of information for war and navigation, record keeping, a repository of traditions can be recorded for eternity with it. The range at which this information travels, and the frequency in which it can be reproduced is limitless compared with the oral societies. And this is why Europe can recount 1000 years of detailed history and learn from it, yet very little is known about the history of Sub equatorial Africa. So in oral cultures it only takes 1 missing generation for thousands of years of history to be lost to time. Scripts, once deciphered, like Ancient Egypt, carry a people’s memories for eternity. Some who find reactionary comfort with romance find this analysis “Eurocentric”, but you cannot seriously build modernity without a written tradition. It something critical for strong historical tradition, and most of the advances in medicine, scholarship, without end. There is no way oral traditions compare and can compete. And it was never a European invention; as both Sumeria and Ancient Egypt (KMT) were the first to create literate empires and set the tone for civilization. And this is why all the major centers in Ancient Africa, Aksum, KMT, Nubia, Songhai, Mali, Almoravid, etc, had a written tradition. It is part and parcel of complex societies. Ge’ez script is the only native African script in full usage as at a national and everyday level. Ge’ez (ግዕዝ Gəʿəz), is a script used as an abugida (syllable alphabet) for several languages of Ethiopia and Eritrea but originated in anabjad (consonant-only alphabet) used to write Ge’ez, now the liturgical language of the Ethiopian and Eritrean Orthodox Church. In Amharic and Tigrinya the script is often called fidäl (ፊደል), which means “script” or “alphabet”. The Ge’ez script has been adapted to write other, mostly Semitic, languages, such as Amharic in Ethiopia and Tigrinya in Eritrea and Ethiopia. It is also used for Sebatbeit, Me’en, and most other languages of Ethiopia. In Eritrea it is used for Tigre, and it has traditionally been used for Blin, a Cushitic language. Tigre, spoken in western and northern Eritrea , is considered to resemble Ge’ez more so than do the other derivative languages. Some other languages in the Horn of Africa, such as Oromo, used to be written using Ge’ez but have migrated to cumbersome Latin-based orthographies. The earliest inscriptions of Ethio-Semitic in Ethiopia and Eritrea date to the 9th century BC in Epigraphic South Arabian (ESA), an Abjad shared with contemporary kingdoms in South Arabia. After the 7th and 6th centuries BC, however, variants of the script arose, evolving in the direction of the Ge’ez abugida (a writing system that is also called an alphasyllabary).1)An abugida (from Ge’ez አቡጊዳ ‘äbugida), is a segmental writing system in which consonant–vowel sequences are written as a unit: each unit is based on a consonant letter, and vowel notation is secondary. This contrasts with a “full alphabet”, in which vowels have status equal to consonants (e.g. In the word “book” both vowels and constants are equal ( “b” and “o”), in Amharic, as in Hindi, the vowel is attached as a secondary item to the constant), and with an abjad script, in which vowel marking is absent or optional (Hebrew and Arabic). In Arabic vowels are used for non-Arabic speakers who use Arabic as a liturgy. True alphabet or not is not a statement of superiority or evolved versus less evolved, they are just names for how script mechanics operate. This evolution can be seen most clearly in evidence from inscriptions (mainly graffiti on rocks and caves) in Tigray region in northern Ethiopia and the former province of Akkele Guzay in Eritrea. By the first centuries AD, what is called “Old Ethiopic” or the “Old Ge’ez alphabet” arose, an abjad (like Arabic and Hebrew with no vowels) written left-to-right (as opposed to boustrophedon like ESA) with letters basically identical to the first-order forms of the modern vocalized alphabet (e.g. “k” in the form of “kä”). In the Ge’ez abugida (or ‘fidel’), the base form of the letter (also known as ‘fidel’) may be altered. For example, ሀ hä [hə] (base form), ሁ hu (with a right-side diacritic that doesn’t alter the letter), ሂ hi (with a subdiacritic that compresses the consonant, so it is the same height), ህ hə [hɨ] or [h] (where the letter is modified with a kink in the left arm). Until the 1970s, Afaan Oromo was written with either the Ge’ez script or the Latin alphabet Then during the early 1970s, the Oromo Liberation Front (OLF) chose the Latin alphabet as the official alphabet to write Afaan Oromo. Between 1974 and 1991 under the Mengistu regime the writing of Afaan Oromo in any script was forbidden, though limited usage of the Ge’ez script was allowed. On 3rd November 1991 the OLF convened a meeting of over 1,000 Oromo intellectuals to decide which alphabet to use to write Afaan Ormo. After a many hours of debate, they decided unanimously to adopt the Latin alphabet. Unfortunately many Ormo have stopped using the indigenous African Ge’ez script after 1991 and began formally writing Oromoia in a Latin format called called Qubee. Words are subsequently excessively long to accommodate for the inadequacies of Latin. It is speculated that the motivation for the change was to create a distinctive cultural identify from the “semitic” groups who have historically suppressed their culture. How a European script could be used over a related African script speaks to the dangers of so-called liberation when those liberating forces are ignorant of the broader issues. Egyptian hieroglyphs ( Medu Neter-“tongue of God” ) were a formal writing system used by the ancient Egyptians that combined logographic and alphabetic elements. Egyptians used cursive hieroglyphs for religious literature on papyrus and wood. Less formal variations of the script, called hieratic and demotic, are technically not hieroglyphs. Various scholars believe that Egyptian hieroglyphs either was an unique center of writing (independent development of writing in Egypt), or a weaker argument holds a diffused blueprint of Ancient Sumerian. Both Sumaria and Ancient Egyptian came into existence around around the same time. (4000 – 3500 BCE). Hieroglyphs emerged from the preliterate artistic traditions of Egypt. For example, symbols on Gerzean pottery from ca. 4000 BCE resemble hieroglyphic writing. For many years the earliest known hieroglyphic inscription was the Narmer Palette, found during excavations at Hierakonpolis (modern Kawm al-Ahmar) in the 1890s, which has been dated to ca. 3200 BCE. In the era of the Old Kingdom, the Middle Kingdom and the New Kingdom, about 800 hieroglyphs existed. By the Greco-Roman period, they numbered more than 5,000. The word Medu Neter (MDW W NTR) literally means “tongue of God” or more loosely, “God’s words.” The English word, “hieroglyphs,” is derived from the Greek word, “hieroglyphikos,” which means “sacred engraving,” similar to the basic meaning of “Medu Neter.” This script is an elaborate system of standardized pictographs that represent both meanings and consonal sounds. The oldest known evidence for this writing system come from pre-dynastic pottery at Gerzeh (c. 4000 – 3500 BC; “Gerzean culture”), which is located about 100 miles south of Ha Ka Ptah (Giza), and from inscriptions found at Gebel Sheikh Suleiman (Wadi Halfa; 4000 – 3500 BC; “Nubian A-Group culture”) in so-called “Nubia.” The next oldest form of Medu Neter dates between 3300 and 3200 BC and found in Abdu (tomb of the so-called “Scorpion” suten in Abydos) on clay tablets that recorded oil and linen deliveries. During the so-called “dynastic period” (3100 BC – 500 AD), Medu Neter was used on the oldest of all historical texts, the “Narmer Palette” (3100 BC), then widely used in the metaphysical/spiritual “Pyramid texts” (2400 – 2200 BC), coffin texts (2200-2000 BC), and the scientific, spiritual and administrative papyri (1825-600 BC). Since vowels were not usually written, two signs could be pronounced in a range of different ways. For example, (ws) could sound like was, wes, ews, awsa, etc. The way that is normally used (according to the ‘Egyptian Grammar’ book), is to use an e, except where the glottal stop ( ) and the guttural sound ( ) occur; these translate to a. But remember – it is unknown how the words were actually said – we don’t know where the vowels were placed! Biliteral and triliteral words are written, except for when they are near similarly pronounced uniliterals. For instance, isconsonantal y-mn, not consonantal y-mn-n.
and are known as weak consonants. They were often changed or omitted – often, they were replaced by . Middle Egyptian didn’t have an equivalent of the English article in their writings. For example, (name) could be ‘the name’, ‘a name’, or just simply ‘name’! The Egyptian equivalent of ‘a’ and ‘the’ came later on in Middle Egyptian, but was really only used regularly in Late Egyptian writing. The Meroitic script is an alphabetic script originally derived from Egyptian hieroglyphs, used to write the Meroitic language of the Kingdom of Meroë in Sudan. It was developed in the Napatan Period (about 700–300 BCE), and first appears in the 2nd century BCE. For a time, it was also possibly used to write the Nubian language of the successor Nubian kingdoms. Its use was described by the Greek historian Diodorus Siculus (c. 50 BC). If the Meroitic alphabet did continue in use by the Nubian kingdoms that succeeded the Kingdom of Meroë, it was replaced by the Coptic alphabet with the introduction of Christianity to Nubia in the sixth century CE. The Nubian form of the Coptic alphabet retained three Meroitic letters. 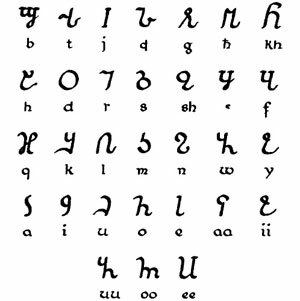 The Vai syllabary is a syllabic writing system devised for the Vai language by Momolu Duwalu Bukele of Jondu, in what is now Grand Cape Mount County, Liberia. Vai, like Amharic, is written Left-Right. From 1830s – present it is used in Liberia, especilly among Vai speakers. 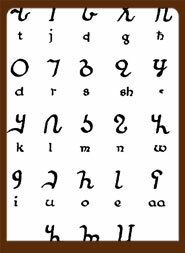 The syllabary proved popular with the Vai and by the end of the 19th century most of them were using it. In 1962 the Standardization Committee at the University of Liberia standardized the syllabary. A Vai version of the New Testament in the Vai script appeared in 2003.Notable features Type of writing system: syllabary Direction of writing: left to right in horizontal lines Each symbol represents a consonant plus a vowel Used to write Vai (ꕙꔤ), a member of Mande group of Niger-Congo languages spoken by about 104,000 people in Liberia, and by about 15,500 people in Sierra Leone. A-ka-u-ku is a script invented by King Ibrahim Njoya, the 17th king of the Bamum of West Cameroon, in 1896. It is classed in the Benue-Congo language group, the largest branch of the Niger-Congo language family. It was made with the intention to preserve and transmit the history of his people, as back then the only method of transmission was oral. Ibrahim realised the inherent risk ofaccidental or deliberate, and thus during his reign ensured all levels of his government and educational institutions learned and taught this script. Named after its first 4 letters, A-ka-u-ku stands as relatively modern proof that “Africa has always been an illiterate continent” is untrue. Symbols and ideograms are used to depict syllables, making it a syllabary rather than an alphabet (alphabets use characters that symbolise consonants and vowels separately. Syllabaries’ characters symbolise syllables, in which consonants and vowels are often conjoined) . When he first developed it Ibrahim’s officials helped him to simplify it because it had 465 characters! In its finalised form, though, it had a much more manageable 70 characters and 10 numerals. Just like the English alphabet it is read from left to right . (note: A-ka-u-ku is often confused with Shümom, an artificial spoken language also of Ibrahim Njoya’s manufacture which came after the script. This is, perhaps ironically, in much more widespread usage than A-ka-u-ku). Nsibidis is a system of symbols indigenous to what is now South Eastern Nigeria that is ideographic (a graphic symbol that represents an idea or concept), though there have been suggestions that it includes logographic elements (. The symbols are at least several centuries old: Early forms appeared on excavated pottery as well as what are most likely ceramic stools and headrests from the Calabar region, dating between 400 and 1400 CE. Nsibidi’s origin is generally attributed to the Ekoi people of Southern Nigeria. Nsibidi (also known as nsibiri, nchibiddi or nchibiddy) is a system of symbols indigenous to what is now southeastern Nigeria that is apparently ideographic, though there have been suggestions that it includes logographicelements. The symbols are at least several centuries old: Early forms appeared on excavated pottery from the Calabarregion dating between 400 and 1400 CE. Nsibidi’s origin is generally attributed to the Ekoi people of southern Nigeria. Alternatively J. K. Macgregor claimed in 1909 that it is traditionally said to have come from the Uguakima, Ebe or Uyanga tribes of the Igbo people, which legend says were taught the script by baboons, although one writer believes Macgregor had been misled by his informants. There are thousands of nsibidi symbols, of which over 500 have been recorded. They were once taught in a school to children. Many of the signs deal with love affairs; those that deal with warfare and the sacred are kept secret. Nsibidi is used on wall designs, calabashes, metals (such as bronze), leaves, swords, and tattoos. It is primarily used by theEkpe leopard secret society (also known as Ngbe or Egbo), which is found across Cross River among the Ekoi, Efik, Igbo people, and related peoples. Outside knowledge of nsibidi came in 1904 when T.D. Maxwell noticed the symbols.Before the British colonisation of the area, nsibidi was divided into a sacred version and a public, more decorative version which could be used by women. Aspects of colonisation such as Western education and Christian doctrine drastically reduced the number of nsibidi-literate people, leaving the secret society members as some of the last literate in the symbols.Nsibidi was and is still a means of transmitting Ekpe symbolism. Nsibidi was transported to Cuba and Haiti via the Atlantic slave trade, where it developed into the anaforuana and veve symbols. Nsibidi has a wide vocabulary of signs usually imprinted on calabashes, brass ware, textiles, wood sculptures, masquerade costumes, buildings and on human skin. Nsibidi has been described as a “fluid system” of communication consisting of hundreds of abstract and pictographic signs. Nsibidi was described in the colonial era by P.A. Talbot as a “a kind of primitive secret writing”, Talbot explained that nsibidi was used for messages “cut or painted on split palm stems”. J.K. Macgregor’s view was that “The use of nsibidi is that of ordinary writing. I have in my possession a copy of the record of a court case from a town of Enion [Enyong] taken down in it, and every detail … is most graphically described”. Nsibidi crossed ethnic lines and was a uniting factor among ethnic groups in the Cross River region. The origin of nsibidi is most commonly attributed to the Ejagham people of the northern Cross River region, mostly because colonial administrators found the largest and most diverse nsibidi among them. Nsibidi spread throughout the region over time and mixed with other cultures and art forms such as the Igbo uli graphic design. Osmanya, also known as Cismaanya and far soomaali, is a Somali script invented between 1920 and 1922 by a man named Osman Yusuf Kenadid, brother of the Sultan of Hobyo and a founding member of the Somali Youth League. Osmanya’s purpose was to transcribe the Somali spoken language (called Af-Soomaali), and though it became fairly widely used it faced heavy competition from the Latin-based script and Arabic. Kenadid invented this script in response to a national campaign calling for a standardized orthography for the Somali language. Such a movement was necessary because the Somali people’s ancient writing system had long since been lost. Osmanya came sufficiently widely accepted to replace Sheikh Uways’s Arabic-based script. In the local schools of his Sultanate, news of the Osmanya script spread quickly – so quickly the Italian authorities soon found out and imprisoned Kenadid in Mogadishu. They feared he may arouse nationalistic uprisings. Upon his arrest, Somalia’s calls for a standardized script were silenced for the next 25 years. After the end of WW2 the Somali people were undergoing increasing nationalist sentiments which, along with the invention of the Somali Youth League, re-ignited interest in Osmanya and led to the independence of Somalia from Italian & British rule. However in the 1960s Shire Jama Ahmed, a Somali linguist, proposed a Latin-based script and presented it before the Somali Language Committee. He competed against 17 other prospective orthographies (including Osmanya, Arabic & some Ge’ez-like scripts) to have his Latin-based script become the national orthography. Despite this, the early 1970s saw Osmanya being used for personal correspondence and bookkeeping purposes amongst the Somali populace. Osmanya as typewriters and other machines had been designed to accommodate its use. However, in 1972 Mohamed Siad Barre, President at the time, unilaterally elected for Shire’s script to become the official standardized script of Af-Soomaali and then launched a literacy campaign to ensure it became the only one in use. Osmanya thus largely fell into disuse. Just like English, Osmanya is written from left to right in horizontal rows. The names of the letters are very similar to those of Arabic letters, but they look completely different. Similar to Arabic, the letters waw & ya (equivalent to w & y) are used as elongated forms of the vowels u & i. Just like most ‘sub-Saharan’ African languages Af-Soomaali is a tonal language, meaning tone/ pitch is used to distinguish between words and different grammatical uses such as gender, case & number. Though Osmanya doesn’t mark the 4 tones in writing, it easily encompasses all the different sounds of Af-Soomaali. The Zaghawa or Beria alphabet, Beria Giray Erfe (‘Zaghawa Writing Marks’), is an indigenous alphabetic script proposed for the Zaghawa aka Beria language of Darfur and Chad. In the 1950s, a Sudanese Zaghawa schoolteacher named Adam Tajir created an alphabet for the Zaghawa language that was based on the clan brands used for livestock, especially camels. Sometimes known as the camel alphabet, he copied the inventory of the Arabic script, so the system was not ideal for Zaghawa. 1. ↑ An abugida (from Ge’ez አቡጊዳ ‘äbugida), is a segmental writing system in which consonant–vowel sequences are written as a unit: each unit is based on a consonant letter, and vowel notation is secondary. This contrasts with a “full alphabet”, in which vowels have status equal to consonants (e.g. In the word “book” both vowels and constants are equal ( “b” and “o”), in Amharic, as in Hindi, the vowel is attached as a secondary item to the constant), and with an abjad script, in which vowel marking is absent or optional (Hebrew and Arabic). In Arabic vowels are used for non-Arabic speakers who use Arabic as a liturgy. True alphabet or not is not a statement of superiority or evolved versus less evolved, they are just names for how script mechanics operate.